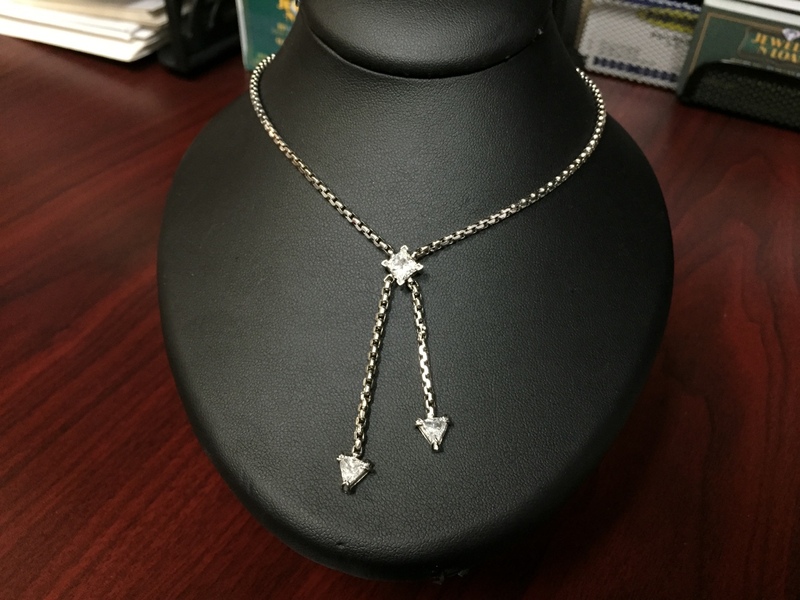 On this deal of the week, we have a stunning 14k white gold necklace with a princess cut and two (2) trillion cut diamonds. The 0.98 ct princess cut stone comes with an EGL certificate and is graded as G color and SI1 clarity. 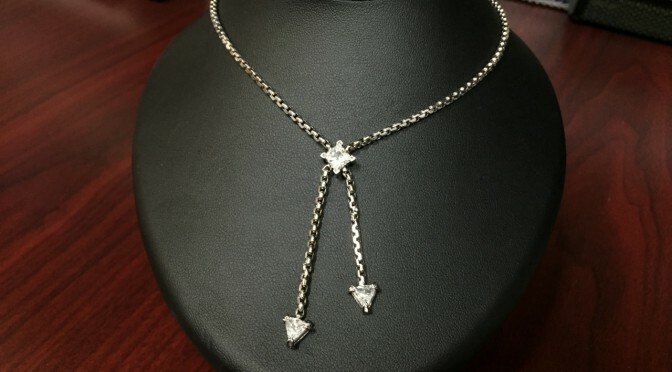 The necklace itself is approximately 16″ in length.